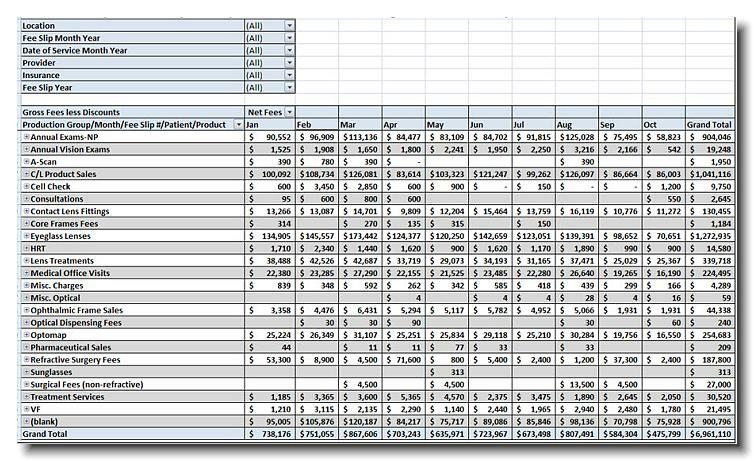 This is the report you have needed to compare your monthly fees by Production or Financial Group. How does one month compare to the next? 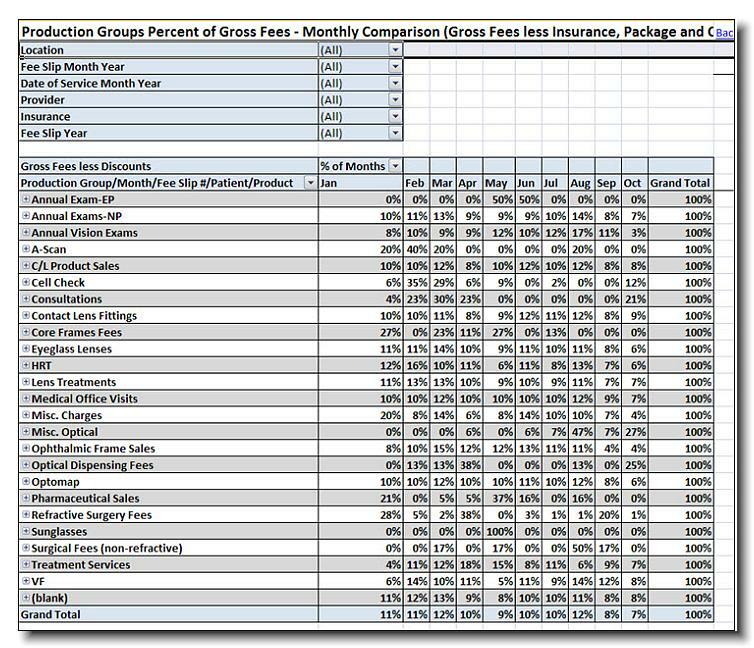 How are your Provider fees comparing month to month? 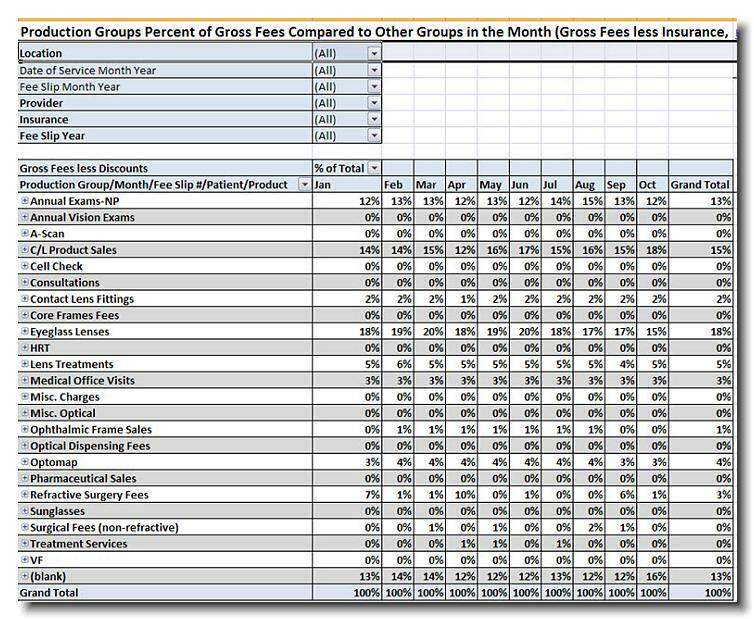 What % of your business monthly is made up of each group? 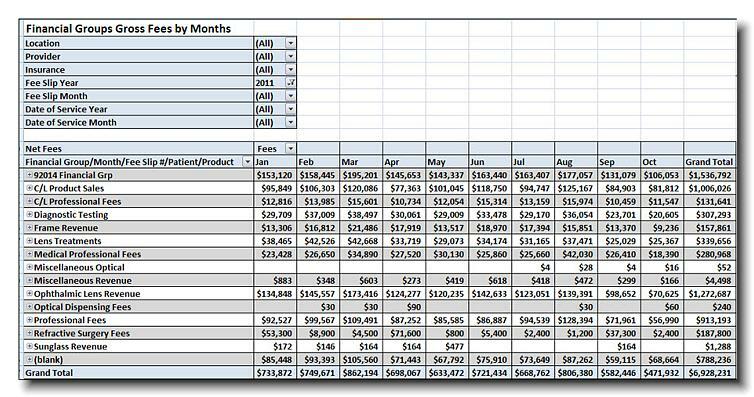 What percent of your business is represented month to month? The Net Fees are Gross fees less Discounts. This report gives you all of that information. For more information on how this eyeReport can help you analyze your practice, watch our 4 minute video! August was the highest producing month for exams. What caused that? What should be done in the other months? For example, Ophthalmic Frame Sales represented 13% of sales in June but dropped off to 4% in October - what happened? February sales dropped to 88%, down 10% of the sales in January - what happened?